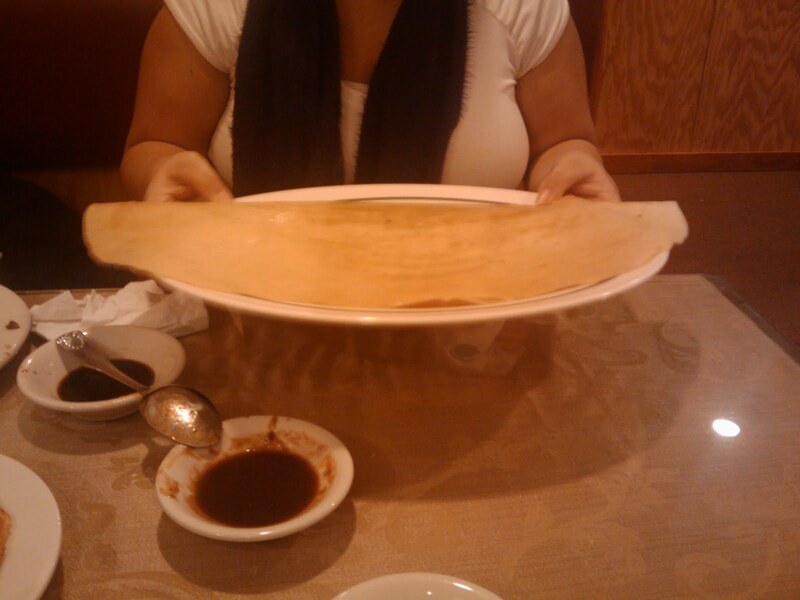 Although I didn't make that Dosa myself, I was surprised by the size of it. It came with the dinner buffet at Priya Boston (which is actually located in Lowell) when it was under the previous management. The Mo and I like to go out for some good Indian brunch buffet every once in a while when I am too lazy to cook on the weekends. My favorite Indian brunch is a place up north in Montreal called Buffet Maharaja. 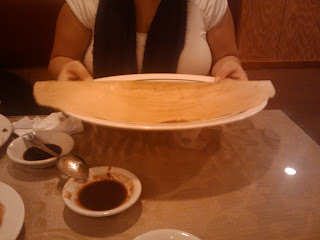 It's been years since we have been there, but I still remember the taste of the freshly made dosas. and the wide selection of offerings in their buffet. I remember feeling like a little kid in a candy store. For those of you who aren't familiar with dosas, they are are staple dish in Southern Indian, similiar to a thin pancake/crepe filled with potatoes and dipped into a sauce, I prefer mine with tamarind chutney. For those of you who can't make it to Montreal, I also would recommend, The Pongal in Billerica, Ma. 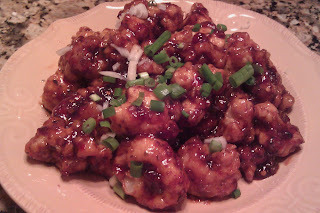 They have a daily lunch buffet from 11:30-2:30 PM and a weekend buffet from 11:30-3:00 PM. This place is very popular with the local Indian crowd so one can imagine that the recipes are fresh, authentic and delicious. They also specialize in "Indo-Chinese", a fusion of Indian and Chinese food where they offer traditional lo mein, fried rice, Sichuan style dishes with an Indian flair. The standard wait for the weekend buffet can range from 30 minutes to an hour. When we go, we try to get there early and be among the first to get seated to avoid the wait. I tried attempted to make Gobi Manchurian (Think Deep fried Cauliflower with a General Tso/Chili Sauce), I think I need to perfect it a bit more but it came out great!